Architect Paul Jansen’s revamped Laguna Phuket Golf Club course will make history in 2019 when it stages the PGA Tour Series-China’s first Global Qualifying event outside of Greater China. To be held from March 5-8, the tournament will be open to players from outside mainland China. Aside from mainland China, Hong Kong and Macau have also previously hosted official events. Now Thailand is to join the list. 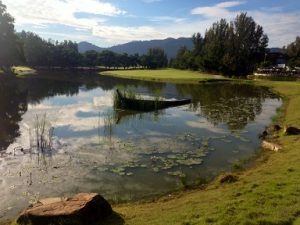 An Associate Business Member of the Asian Golf Industry Federation (AGIF), Jansen Golf Design and Construction upgraded Laguna Phuket Golf Club in 2014, a course built among lagoons, native water grasses and mature woodland areas. The Asian Development Tour’s 2017 Singha Phuket Open was the last International Federation of PGA Tours event held at Laguna Phuket, a Golf Course Facility Member of the AGIF. Meanwhile, Foison Golf Club’s Dye Course in Guangzhou will host three 2019 PGA Tour Series-China Qualifying Tournaments. The First Global Qualifying Tournament will take place from February 19-22 with the Second Global Qualifying Tournament the following week (February 26-March 1). Foison Golf Club will also host the Mainland China Qualifying Tournament for China passport holders. That qualifier is set for January 22-25. “We have watched numerous players show up at the Qualifying Tournaments, and a year or two later they are playing on the Web.com Tour and the PGA Tour. It’s at the qualifiers where many of them are beginning their professional journeys, and we recognise the talent that has come through our Tour during its first four years,” said PGA Tour Series-China Executive Director Greg Carlson. “As we announce these dates, it means another PGA Tour Series-China season is just around the corner, featuring a mix of new players who will emerge from these qualifiers as well as those players who are returning. “This is also a new chapter in the history of the Tour as we stage an event away from Greater China for the first time. Playing in Thailand will provide players with a new cultural experience while playing a tournament on a world-class golf course in one of the great resort cities in Southeast Asia,” Carlson continued. Each of the Qualifying Tournaments will feature fields of 120 players, with the winner of each 72-hole, stroke play tournament earning a full exemption for the entire 2019 season. Those finishing between second and 12th will have full status through the Tour’s first six events. Players finishing between 13th and 35th, and ties, will have conditional status through the season’s first six events. After the sixth tournament, there will be a reshuffle based on 2019 Order of Merit rank. The season-ending event will have eligibility based on performance during the season, not on Q-School results. The Global Qualifying Tournaments carry an entry fee of US$1,500, while the Mainland China Qualifying Tournament, due to a discount offered by Foison Golf Club, will cost RMB7,500.